Most people absolutely detest the idea of having to sweat it out in the gym and lack the motivation to exercise. A lot of us try to force ourselves to the gym, hating it, but feeling obligated to do it anyway. Such people need to start looking at exercise in a different way. So, how do we encourage ourselves to start exercising? 1. Instead of seeing exercise as a chore, find a new way to approach it. Exercise is amazing for not only your physical health and appearance, but it is a way to clear your mind. Try it: try exercising when you are stressed out. If you have something big on your mind, go for a fast-paced walk around your neighborhood or step it up to a jog. Get in a low squat and start punching the air, boxing out your troubles. Whatever you do, once you get a sweat going, your problem will suddenly feel at least slightly less daunting. 2. Exercise is a way to relieve stress, clear your mind, and spend time with yourself. If you spend a short time each day breaking a sweat, you will feel better mentally. 3. Another way to approach exercise is to stop doing the same routine. If you go to the gym each day, doing the same exercises, you will not only miss out on other physical benefits, but you will probably be bored out of your mind. Instead of always doing the same things, find creative ways to get active. You should try different classes at the gym. Those are always more fun and effective than walking into an open gym and creating your own routine because you have an instructor pushing you to do better and other people in the class supporting you. Try all the different classes that your gym offers, or join a new gym that gives you more options besides the boring cardio machines and weight room. 4. You could bike, kayak, hike, swim, or run some days and do yoga, Pilates, or Zumba other days. Sometimes, when you do not have much time or energy to do much, you can just search on Youtube for a quick workout routine. The more you mix up your exercise routine, the more likely you will be interested in doing it. When you have many options, you are less likely to dread your workout. 5. If you are still lacking motivation, try finding a workout buddy. Whether it is your partner, your family member, a friend, or a stranger, having someone else to hold you accountable is really helpful. 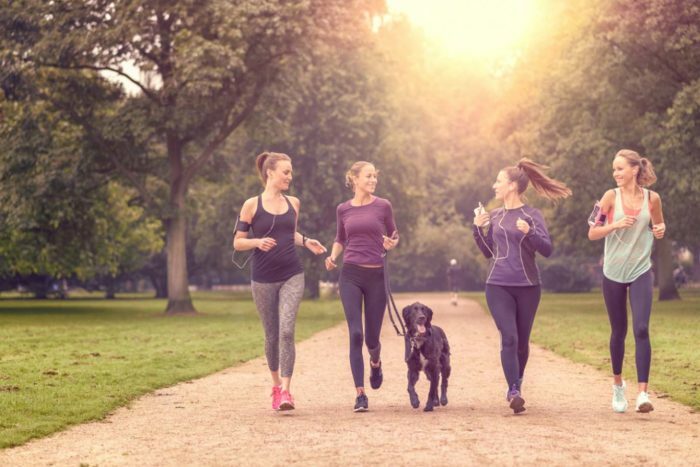 If you do not know anyone who will do this with you, find someone on Meetup (where you can also find free or cheap exercise classes at times) or meet someone at your gym. Plan to meet this person for certain exercise activities, and you will both be more likely to do it since you will be doing it together. There are countless options to get a great workout, and it is something you should make part of your daily life. Whether you wake up really early in the morning, go on your lunch break, or go at night, there is no excuse not to set aside some time to better your body and your mind. You can do it! No excuses! Read More: Food that can help you lose weight, really! Previous articleA Tale of Hurt: He Didn’t Leave Me The Same! HAIR COLOUR FOR INDIAN SKIN TONE –DECODED! WHAT SERVICES ARE OFFERED BY EVENT HIRE COMPANIES? Are You Feeling Lonely And Unappreciated?